Psychologists at Washington University in St. Louis have found an intriguing possibility that personality and brain aging during the golden years may be linked. 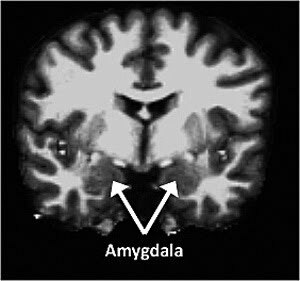 Studying MRI images of 79 volunteers between the ages of 44 and 88, who also had provided personality and demographic data, the researchers found lower volumes of gray matter in the frontal and medial temporal brain regions of volunteers who ranked high in neuroticism traits, compared with higher volumes of gray matter in those who ranked high in conscientious traits. She notes also that the results could be seen as “the tail wagging the dog.” That is, it is actually brain changes during aging that influence personality. “Right now, we can’t disentangle those two, but we plan to in the future by conducting ongoing studies of the volunteers over time to note future structural changes,” Head says. Head’s graduate student Jonathan Jackson, first author of a recently published paper on the research in Neurobiology in Aging, notes that he, and co-authors Head and David A. Balota, PhD, professor of psychology, tested the hypotheses that aging individuals high in neuroticism would show lower brain volume while those high in either conscientiousness or extroversion would have larger brain volume. The extroversion results were not clear, but the data validated the other two hypotheses. The researchers were interested in healthy aging brains because down the road the findings might serve as a useful marker for later diagnosis of dementia. The volunteers they studied are normal control participants at Washington University’s Alzheimer’s Disease Research Center (ADRC), led by John C. Morris, MD, the Friedman Distinguished Professor of Neurology and director of the ADRC. One of the first changes in Alzheimer's disease may be in personality. There is accumulating research from the ADRC and other institutions that suggest that people tend to become more neurotic and less conscientious in early stage Alzheimer's. “It might be that changes in personality track onto those people more likely to develop Alzheimer's,” Jackson says. “It’s why we looked at older healthy adults because it’s important to track these relationships in healthy populations before you look at pathological ones. "We know that there are degenerative processes going on before the diagnosis of Alzheimer's. We want to be able to see if the subtle personality changes might be particular to an early clinical picture and possibly see if one can predict who will become demented based on personality changes,” Jackson says. Another way of looking at the findings, Head says, is that neuroticism might add an increasing vulnerability to the pathological processes that go on in aging, particularly in Alzheimer's. 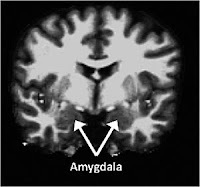 “We will continue to pursue the relationship between personality and brain structure as one of the earlier processes in AD and hence a possible risk factor,” Head says.